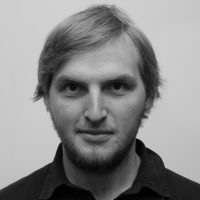 Paweł Cywiński is a PhD candidate and assistant at the Faculty of Geography and Regional Studies of the University of Warsaw, where he deals with the analysis of migration. He was recently awarded the Quill of Hope – Amnesty International award for journalists writing about human rights – for his work with fact-checking project uchodzcy.info, which he co-founded along with two other projects: Chlebem I Solą and post-turysta.pl. He is also a newspaper and radio journalist. A round-up of the fake news debate across European countries.